When was the last time you saw a picture frame that was different. And out of the box. One that was cool and innovative? That's exactly what Thistle & Poppy has done with their new line of picture frames. These frames are unlike any other on the market!!!! They are called Snap Point Picture Frames, and they are comprised of a "base" and a "trim". You can shop the pre-designed sets or choose your own colors and shapes. All of their frames are individually handcrafted and they offer a variety of 15 colors, 10 base shapes and 19 trim styles making over 42,000 framing options. And guess what? They just released a virtual frame designer on their website exclusively for the Snap Point PictureFrame line. Really, it couldn't be easier!!! The base and the trim connect with embedded magnets, so you can just snap the trim off to change your photo. Just like that, you can give your photo a whole new look! You don't even need to remove the frame from the wall to change your photo! It's so easy. Each base has two hooks on the back, so you can display it vertically or horizontally, as well as little pegs on the back to keep them even on the wall. Thistle & Poppy also offers easels for the frames, in case you'd like to display your photos on a table or shelf. Thistle & Poppy also runs weekly frame giveaways on the Thistle & Poppy Facebook page. Disclaimer: Product provided by Thistle & Poppy, but all opinions are my own. Thank you for supporting those who support Tales from Bloggeritaville. I will be contacting you soon with information on PrintKeg and how to get your canvas! Congratulations to our winners, and thank you to everyone who participated in the giveaway! A special thanks to PrintKEG for sponsoring the giveaway! Disclaimer: PrintKEG offered to give me a free canvas, as a way to try their products and three (3) of Tales from Bloggeritaville readers the same, in return for letting you know about their printing services. The information regarding PrintKEG printing options was provided by PrintKEG. Any opinions expressed are my own. 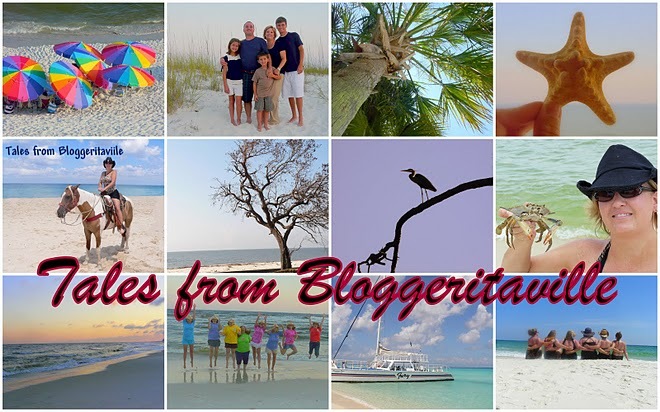 Today, the folks over at Printkeg have offered up a free matte canvas print to not just one but THREE lucky readers of Tales from Bloggeritaville. Even better than that, the winner can choose from any of their available sizes. Y'all probably know that I'm a photographer, and was delighted when they also extended their offer to me so that I could try their product, I had a tough time narrowing down my decision to one photo, but I did. I chose a picture that to me, is so peaceful and serene. It was taken on a trip last August to the Great Smoky Mountains. I stayed in Townsend in a cabin and daily passed this particular beautiful little farmstead. It made me think of similar times, perhaps some big family sharing that quaint little home. And they had a strong family connection because of it. Their hardships proved to be the ties that bond them. It was the thing that gave them such strongly planted roots. I pictured them gathered around the table at suppertime, holding hands praying grace before their meal. True, I have a vivid imagination. I'm not afraid to admit I'm a dreamer. But I digress. One day, as I passed, the sun was setting and its setting just painted the landscape in a opaque pink wash. The scene became even more peaceful and thought provoking. I pulled over and snapped a picture. It didn't take long after sending my picture off through the PrintKEG website that they printed and shipped my picture to me. It came in a huge box! I ordered the 16 inch size to fit on the wall in my entry hall. It was almost perfect. Which I relayed to the folks at PrintKEG. But "almost perfect", well, that wasn't good enough for them. They wanted me to be completely happy. They wanted to know what would make it "perfect". My gripe was minimal, aside from me actually owning the land, I just wished the grass hadn't printed as dark as it did in the photo canvas. The PrintKEG professional I worked with, Chris, insisted that I let the professionals there work their magic and make the adjustments. In a short amount of time, This canvas arrived. It was the way I imagined that day. I was so impressed with the folks at PrintKEG and their commitment to quality and customer service and satisfaction. Its a company that I will use again in the future for their services. PrintKEG prints custom prints, posters, photographs, canvas wraps and more. They focus on small projects at very low prices with a mission of helping artists become successful entrepreneurs by being able to sell their work profitably. Allow Me Introduce You to PrintKeg …. • Do you have a special photo you want to put on canvas? • Are you looking to create a unique birthday invitation or baby announcement? • Do you want to print custom T-shirts for a special family trip or occasion? — T-shirts: Choose from a variety of shirt styles and colors for men, women and kids, and order small family-sized quantities. Add your own, custom design or choose a predesigned PrintKEG image, then personalize the text. — Cards/Invitations/Announcements: Create a one-of-a-kind baby shower invitation or birth announcement, birthday invitation, and much more. PrintKEG allows you to upload your own design, or choose one of theirs. — Canvas: Have an extra-special photo printed on canvas. You can choose to have it sent to you rolled for framing at home, or as a stretched canvas, ready to hang when it arrives. But that’s not all they can print. Check out everything you can get printed at PrintKEG! For a chance to try PrintKEG for yourself, enter to win … it’s easy! PrintKEG has generously offered to give three (3) TFB readers a custom canvas from PrintKEG. — Leave a comment below letting us know what you would print on your canvas or where you would hang it in your home! — Share about this giveaway on your facebook page by sharing the link to this post. Fine Print: No purchase is necessary to enter. A maximum of two entries per person will be accepted. Only responses that conform to the above requirements and are posted on THIS PAGE will count as official entries in this giveaway. To be fair, comments that don’t meet these requirements, false entries, or duplicate comments will be deleted and not count as entries in this giveaway. This giveaway is open to anyone age 18 and older residing in the continental U.S. ONLY. The contest period ends on Thursday, April 30, 2014 at 11:59 p.m. CST. Three (3) winners will be selected at random using random.org and notified by e-mail; the winner will have 24 hours to reply back before a new winner will be selected. This giveaway is sponsored by PrintKEG. Prize will be sent via e-mail. Please allow 1-2 week for prize to be delivered. Prize is not redeemable for cash and must be accepted as-is. I was recently asked if I would do a product review for The LA Shop. The LA Shop is an online market where one can purchase just about anything, from home décor items, to automobile items...pet supplies to toys and sportswear and everything in between. Seriously! I chose the 8x10 ft Portable Photography Background Backdrop Stand Kit to review. I have been in the market for just such a stand. I wanted something light in weight, because inevitably hauling a big screen on location only makes for back problems and belly aches. I wanted something easy to assemble. And I wanted something that I wasn't tied down to in background choices. I wanted to be able to chose my own backdrops, and to be able to change out easily. It was a tall order to fill. Which is why I haven't invested in a screen, because I required one with all of those attributes. I was very skeptical of the screen from LA Shop, if it would be adequate. I received the screen via mail a few days later. It came in a fairly large box. Inside was a carrying case (comes free with the kit) with all of the parts nicely packed inside. The case was very lightweight, even with all the parts inside. I really liked that the case has built-in small pocket for instruments. Everything fits securely inside and doesn't shift around. It was very portable and convenient to anywhere. Check that off of my wish list. And that was a biggie! Assembly. The screen itself only has 6 parts, which are the two stand supports and 4 bars which is the frame for a screen. Unfortunate for me, there were no instructions in the kit. Sure, only 6 parts....but for someone like me, I need-no require- instructions. Fortunately, my husband was skilled enough to put it together in about 2 minutes. So easy. And that estimate was generous. It was probably much quicker than 2 minutes. After watching him do it, it seemed easy enough. The set up with smoothly, as was breakdown later (which I did myself, thank you very much). ("Will Model for Food and Rent"). Sister Sledge has that posing bit down. I really like this product! I am glad I was able to try the backdrop kit. It certainly fit my needs and It will come in handy for senior portraits as well as events. It'll also come in handy in blogging for staging pictures. I can think of numerous situations in which I will use it. The only negative isn't really even a negative but more of a comment...I would've appreciated some clamps in the gear bag for securing backdrops and some instructions for people like me. Other than that, its worth its retail price, which is $69.99. And its a gem for any photographer on the go. Thank you to The LA Shop for allowing me to try out your product! My husband and I took our 2 youngest children to the Alabama National Cemetery in Montevallo. We wanted them to be conscientious of the real meaning for Memorial Day. our nations silent hero's, gave for our freedoms. Floats free the banner of the cause they died to save. Their courage nerves a thousand living men. It's important that we might never forget. This weekend my family checked out the new Beneful® Dream Dog Park in Alabaster, just ten minutes from our house. The Veterans Dream Dog Park, a $500,000 installation, was actually a "Prize" won by Alabaster resident Jenny Wilson, in a contest sponsored by the Beneful dog food company. Jason Cameron from the DIY Network, was the visionary who designed the $500,000 park. We took most of our pack to the park: Miley, Jeffery, Lucy and Charlotte all were treated to a day of fun (Jane couldn't go, she gets car sick and does not like other dogs so was happy for the alone time). This little Chinese Crested, a hairless breed was just adorable in it's pink bow, and even more so when its male owner carried it across the area to play. Daddy's do love their babies! The one-acre park is fenced off from the rest of Veterans Park. Within the dog park, boundaries separate the off-leash areas for small dogs and large dogs. Each area features a splash-pad for playing in the water or cooling off. A "senior sanctuary" allows older pets the opportunity to sit and enjoy the outdoors, and covered seating features picnic-style tables and benches. A mural of a beach is "for the humans", one human parkgoer stated. But the rest of the park is certainly , "For the dogs" !!! Nothing in the park is harmful to the dogs. The walking track is made of recycled rubber and the grass is a synthetic product. It's all about safety. This guy (below) was a parent to many pups, like us. But he was also an excellent trainer. We watched him for what seemed forever in training his pitbull. I can certainly say, one of the most well behaved, most disciplined dogs I have ever seen. The dog listened and obeyed every word its owner said. From, "Jump through that hoop" then just before dog was to jump he would say "Wait" and the dog would stop on a dime..
... to playing fetch and throw the ball and the dog would wait for the command to retrieve. Amazing! Everyone...dog and owner alike enjoyed the park. Its truly an amazing place and we are so fortunate to have one so close to home. Speaking of home, we stayed until the sun was setting across the field and then called it a day. ....until next weekend...when we can go and play again. Thanks to Charnita for button design and to Lorie for the code! Leigh discusses home decor, thriftiness (its an art) road trips and life as a stay at home mom. Leigh is a full time mother, a part time photographer, writer and wanna-be roller derby queen/rock star. Her photography and written work is featured in several professional business and local publications. She owns her own photography business, Photographic Memories. Leigh resides in the south with her three children and husband "Big Daddy". Save the Manatee, Adopt One Today! Marlee Matlin & Fabian Sanchez of Dancing with the Stars think Leigh's Blog Rocks! My List of Distractions- Blogs I love! "Sister Sledge, Big Daddy, J Smooth, Leigh & Bama"
"Sister Sledge, J Smooth & Bama"
Be Nice. It's all good. 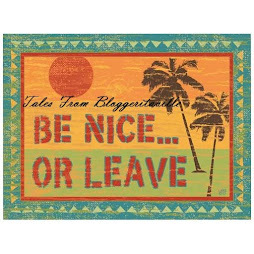 Be nice or Leave. Tales from Bloggeriatville Rule #1.
she is as sweet as she looks! "Whatever you give a woman, she will make greater. If you give her sperm, she'll give you a baby. If you give her a house, she'll give you a home. If you give her groceries, she'll give you a meal. If you give her a smile, she'll give you her heart. She multiplies and enlarges what is given to her. So, if you give her any crap, be ready to receive a ton of s*&t."
When I go down by the sandy shore,I can think of nothing I want moreThan to live by the booming blue seaAs the seagulls flutter round about me. I can run around when the tide is outWith the wind and the sand and the sea all about,And the seagulls are swirling and diving for fish.Oh, to live by the sea is my only wish. Let your boat of life be light Packed with only what you need --A homely home and simple pleasures,One or two friends, worth the name,Someone to love and someone to love you,A cat, a dog, and a pipe or two,Enough to eat and enough to wear,And a little more than enough to drink...For thirst is a dangerous thing. -- Jerome K Jeromefrom "Three Men in a Boat"
The love of God is like the ocean, you can see its beginnings but not its end. "No one can make you feel inferior without your consent." "Let us not forget what is best remembered or may we not remember what is best forgotten." "Fish and overnight guest stink after three days." "We are not human beings having a spiritual experience, we are spiritual beings having a human being experience." "A friend is someone who understands your past, believes in your future and accepts you today just the way you are." The happiest people don't have the best of everything, they just make the best of everything they have. The richest person is not the one who has the most, but the one who needs the least. Worry is a robber of time and energy. Take comfort within that God's power is what we truly need. He knows our needs before we can even ask for them. If you worry, you didn't pray. If you prayed, don't worry. Faith is the ability to not panic. Don't "find" a religion. "Find" your relationship with God.